A stylish flat glass awards plaque offered at unbelieveably low prices for such a quality award. Made in 10mm thick jade crystal they feature a cube shape body with faceted edges and set on a jade crystal base. 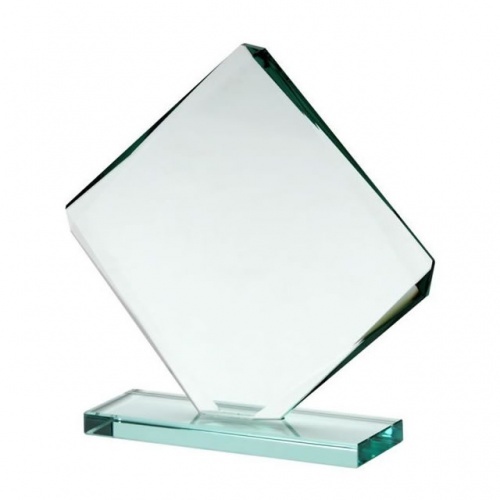 Available in three sizes and suitable for a wide variety of events, achievements and presentations.